A leading youth-oriented designer and manufacturer of shoes and gear for skateboarders and snowboarders, Airwalk is known for their extreme sports culture. Airwalk represents their products using some of sport’s most charismatic personalities, such as professional skaters Jason Lee, Tony Hawk and Andy MacDonald. One of the brands that launched and built the action sports community, Airwalk is fueled by passion and progression, and driven by people pushing innovation, supporting the scene, and taking risks. 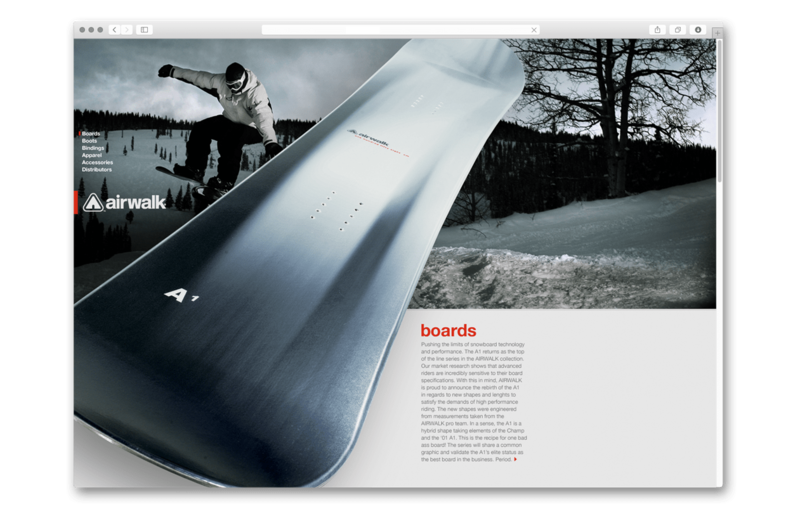 Airwalk’s catalogs, posters, postcards and other promotional materials didn’t reflect the intense, youthful action sports culture that is the heart of the company’s target demographic. 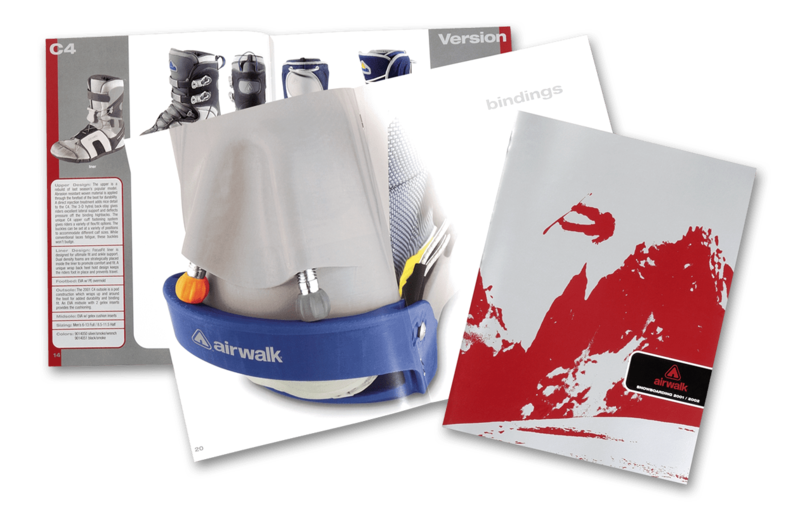 In this market’s lingo, the communications strategy had no “street cred.” Airwalk wanted new marketing materials — particularly product catalogs — that would powerfully showcase new product lines and make a stronger impression on retailers. The company also wanted the design of their materials to better reflect the demographic for the launch of a new product line. Working with Airwalk’s marketing team, I jumped in to redesign the look of their ads, website, catalogs, posters, postcards, invitations, stickers and other collateral. I developed powerful concepts and creative strategies which not only displayed products more effectively, but also better conveyed the Airwalk “attitude.” The result was a new array of impactful, effective and perfectly produced brand-building printed and online communications.